So the next two weeks ROCK with releases for which I have been anxiously waiting!!! Twisted Perfection, Crush, Wedding Night this week and Sweet Peril and This Girl next week among other titles… geez!!! If only I could stay home and read all day! But I’m sticking to a schedule and plan to drink a lot of coffee 🙂 I’m also hoping to get the ARC of Restore Me this week which has been delayed (release date still April 30th). 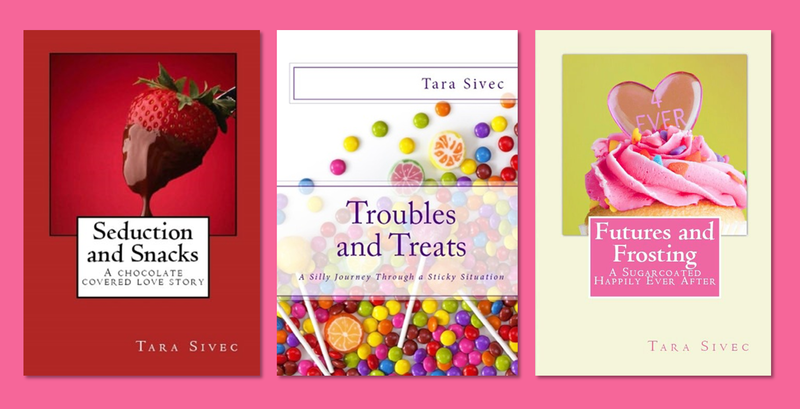 This weekend I finished Seduction and Snacks by the uber-brilliant Tara Sivec and I’m reading Futures and Frostings today. Holy hell… these books are THE funniest thing I have EVER read!!! Everyone, and I mean EVERYONE, should read these books! mini-newsletter. Let me know if there’s things you’d like to see on here on a weekly basis. In The Stillness by Andrea Randall (my review) – It was just such a powerful and beautiful book filled with sadness, realness and a complicated second-chance romance. It’s moving, made me uncomfortable and brought me to tears. You know I love it when a book can do that to me! These are great Vilma! I love all the info on this page. I am excited to read Twisted Perfection and This Girl!! And I will be reading Seduction and Snacks Mon or Tues.